Riding to work. I didn’t have a car and I didn’t want a car, so I took the bus with my bike. You can see a lot on two wheels…. but we all know that. This question actually must be answered in two parts: my childhood and my adulthood. We never seemed to have enough food on the table, especially as there were 5 of us kids. My mother was the expert in all things shepard’s pie. It’s cheap for one thing—frozen peas, mashed potatoes and hamburger meat. If I was still hungry after dinner, and I usually was, I was told to drink a glass of water to fill my stomach. I went to bed many a night, hungry. No Kid Hungry speaks to me more than one would ever know. The bright light was when we would go visit our grandparents and I would stuff myself silly. As an adult and parent, I made sure that healthy food was served, and today I just feel fortunate to have whatever I want whenever I want (within reason of course). What is the relationship between cycling, food and wine? Quick answer: pathological mayhem. The first half of my life it was about volume. Today it’s about quality. My parents were functioning alcoholics. As I said, food was scarce and I focused on filling my belly. 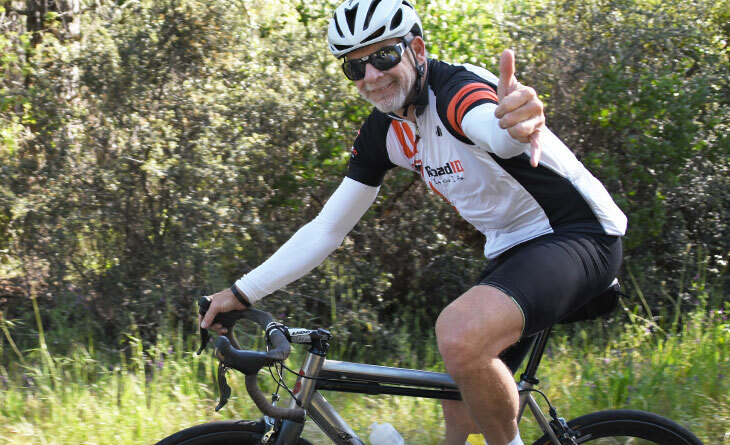 Today, I eat what and when I want to, and there’s nothing better than after a ride, biting into a grilled cheese sandwich… must have avocado and tomato skins in the mix on tartine country loaf…yes, that’s the bread of choice. You go from being annihilated to happy as a clam. Add a Lagunitas Pale Ale and the picture gets rosier. What’s your typical morning meal? Oatmeal with blueberries and a big ole cup of black coffee. I stuff a Ziploc bag full of melon—honeydew melon is totally badass. That, plus my peanut butter CLIF Bar and I’m fueled. For a dinner party for eight, what would you serve? BIG risotto with asparagus. Grilled salmon. Roasted Brussel sprouts with garlic and basil. Served with a Napa Valley chardonnay from Carneros, of course. 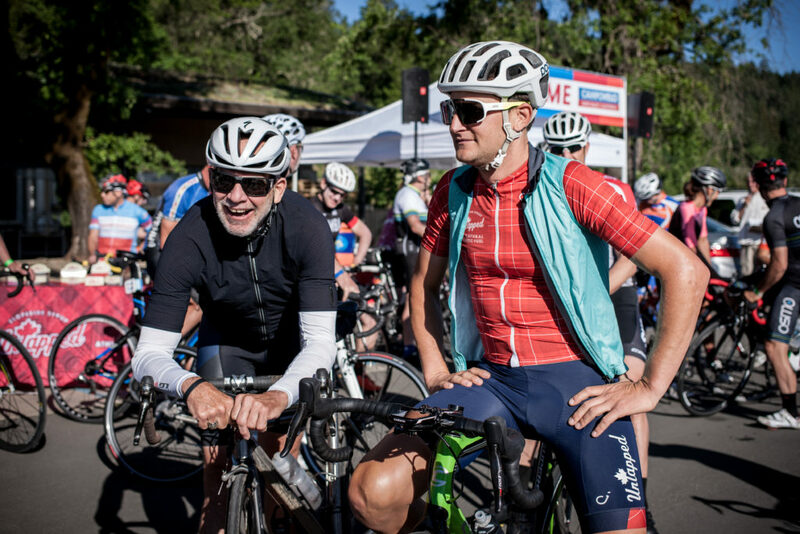 What was your favorite moment at last year’s CampoVelo? It was being part of the benefit dinner for No Kid Hungry at Acacia House. 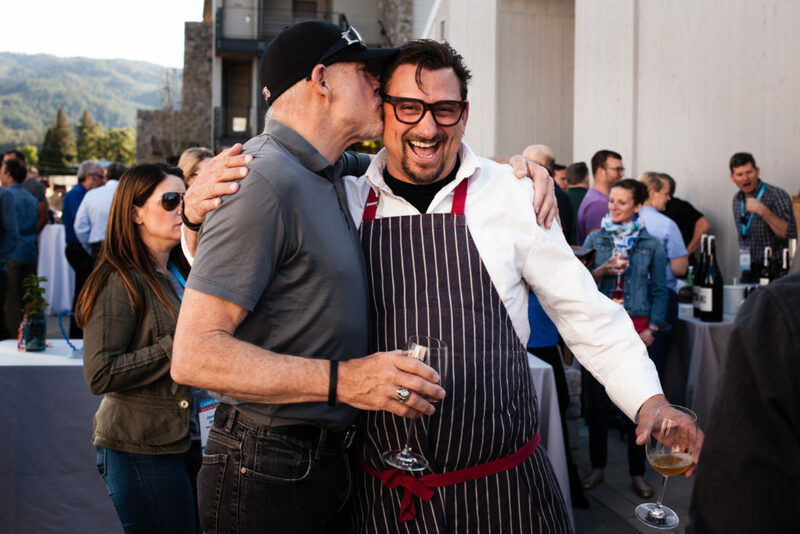 We all got to experience Chef Cosentino’s work of art before anyone else as the restaurant had yet to open to the public. 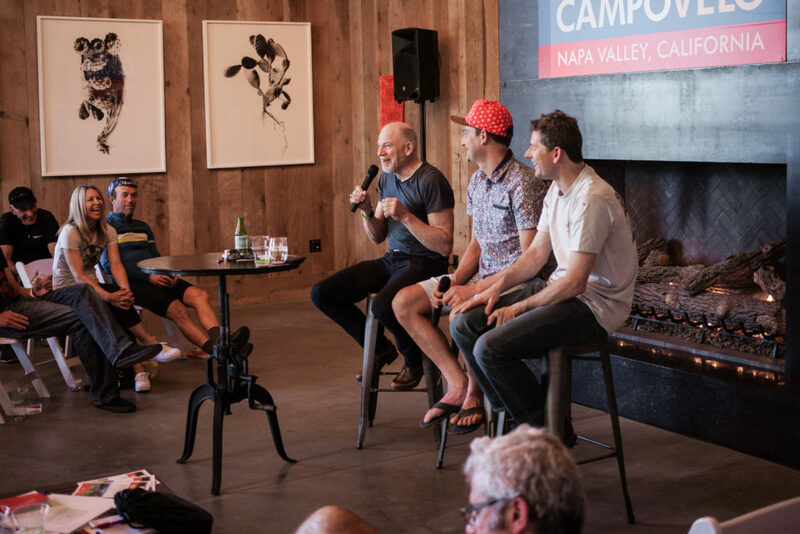 What would you say to those who are on-the-fence about attending CampoVelo? Don’t come. More food for me!!! In all honesty, there is NO better weekend of cycling, eating, and imbibing in the United States.